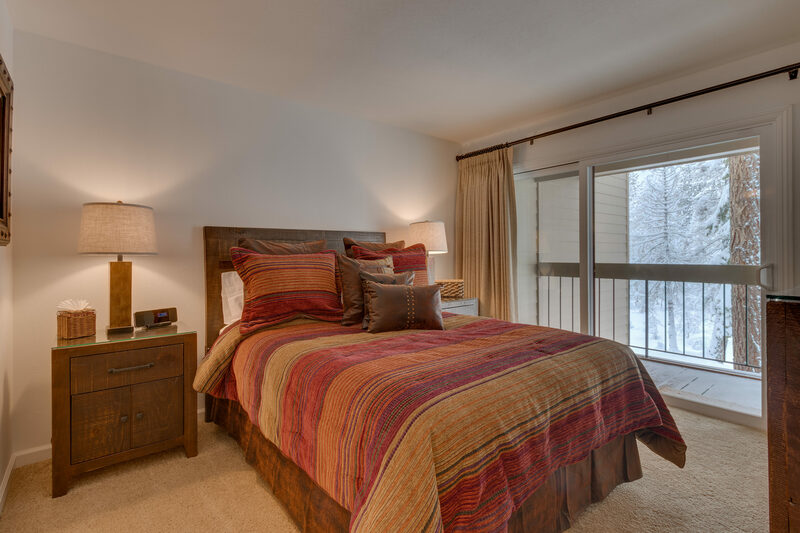 Come to High Ground and enjoy all the comforts of home. 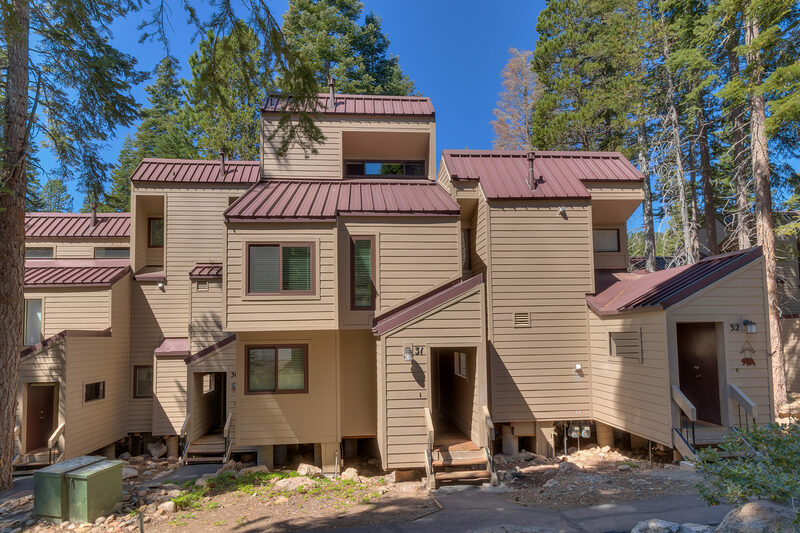 Bring the family and friends, there’s room for everyone in this large townhome with capacity to sleep eight. The entry level includes two bedrooms, each with a comfortable queen-size bed topped by mounds of pillows and comfy bedding. One of the bedrooms has a glass sliding door to the deck and the other has a window seat. 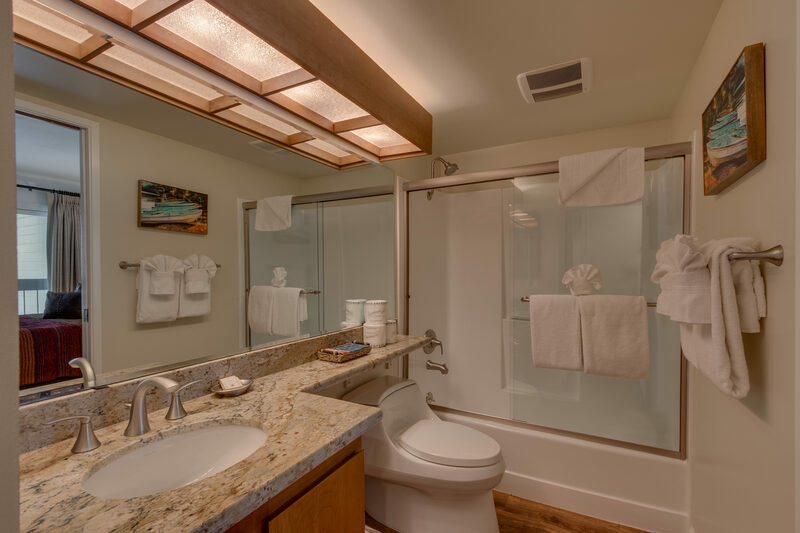 There is also a full bath with granite countertop and a tub/shower. The laundry closet is just across the hall. The second level features the comfortable living room, dining area, and kitchen. 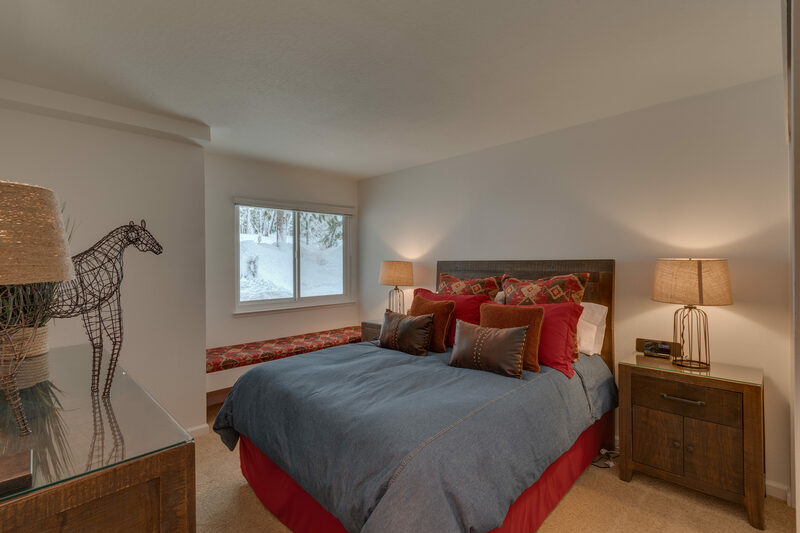 You’ll also find the third bedroom with queen bed, large windows, and window seat, and the second full bathroom. 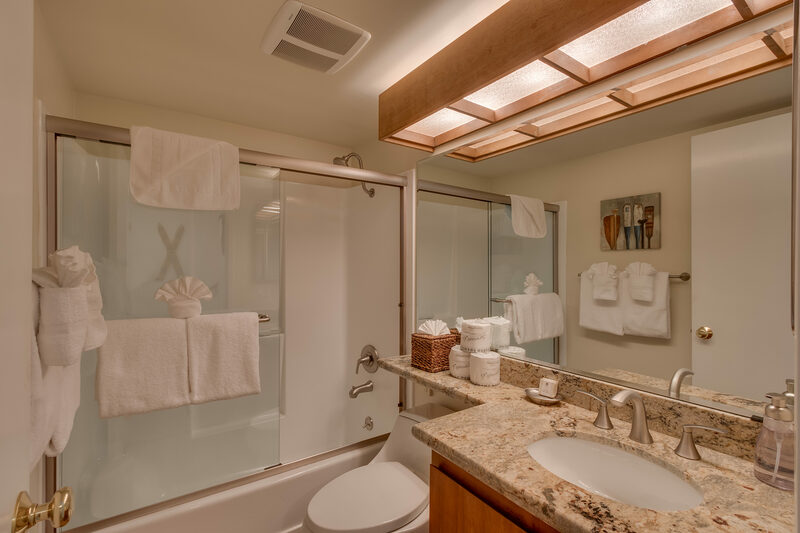 Plenty of bath linens are provided. In the living room, relax and warm up by the wood-burning fireplace. 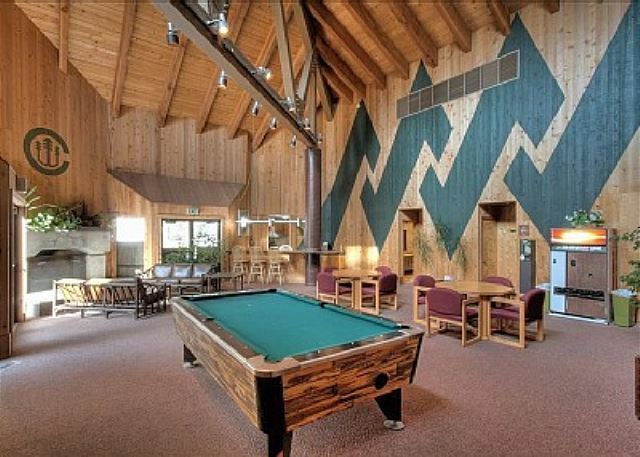 There's a large flat screen TV with cable and DVD player, a sound dock, two comfortable chairs, and a cozy sofa. Wi-Fi keeps you connected. 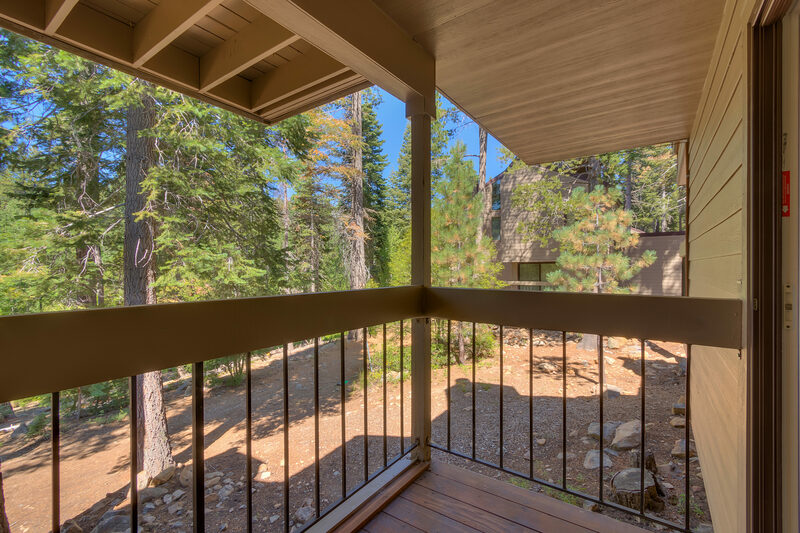 Step out on the adjacent covered deck and admire the forest views. Feel free to stay in for some of your meals! 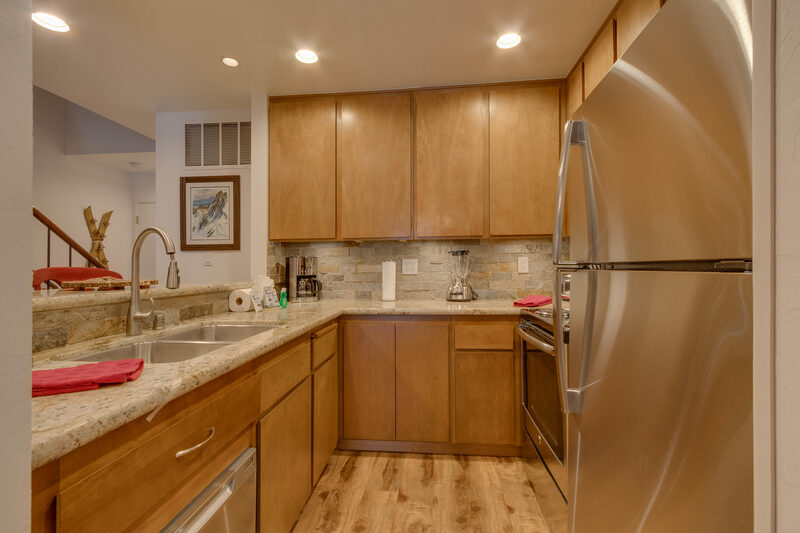 The well-equipped kitchen with stainless-steel appliances, granite countertops, and tile backsplash includes everything you need to prepare a hearty breakfast, a quick snack, or a home-cooked dinner. The dishwasher makes clean up a breeze. There are eight chairs at the large dining table and two more chairs at the breakfast bar. 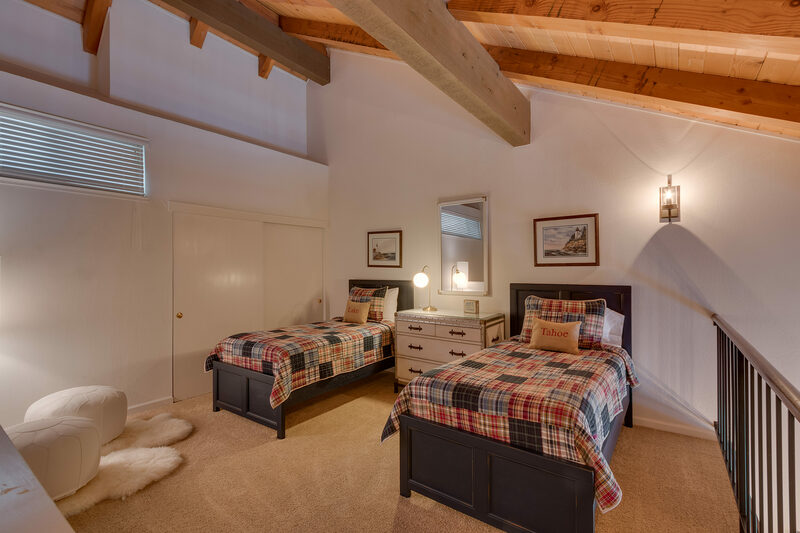 The third level features a cute loft bedroom with two twin beds. Very comfortable and clean. Perfect for small family. Location was convenient to many activities. We enjoyed our stay. The interior was well kept and appointed. 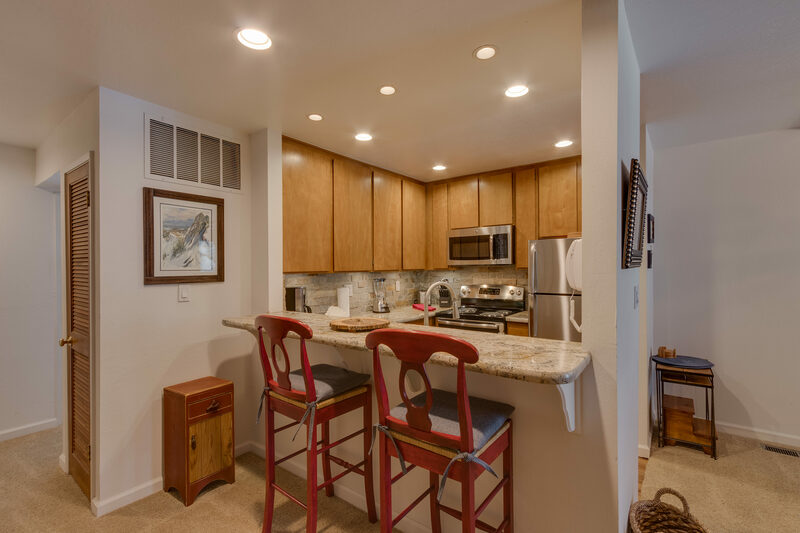 The proximity to the lake and other amenities was fantastic! I highly recommend this property.